The Prayer Encouragement Project hit the road this weekend as Bethany Baptist Church in Mason, WI invited us to present the findings of the Prayer in America Research Project! We headed up north to Ashland, WI before pulling into Mason. Ashland is on the shores of Lake Superior, the greatest of all the Great Lakes. Chequamegon Bay is between Ashland and Washburn, and the Bay was frozen solid. So frozen that cars were making laps on a racing oval established on the lake! Sunday Morning we were able to present at Bethany Baptist Church. Several years ago the church celebrated their 100th anniversary! 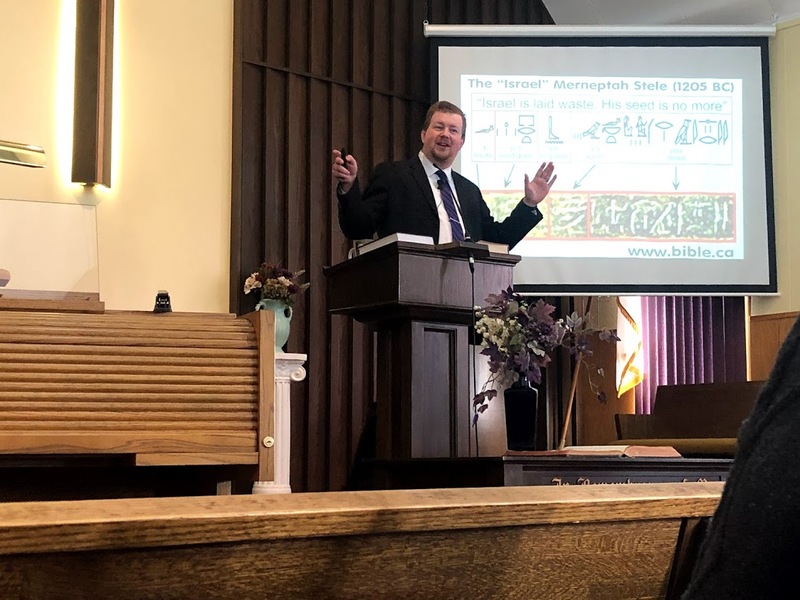 We had a great time sharing Incredible Evidence for the Bible in Secular Museums in Sunday School, and Prayer in America in the Morning Service. We had a wonderful time with Pastor Dudley and the church family, including spending some time with a family that was led to the Lord thru WEGZ 105.9 FM (the VCY radio station in Northwest Wisconsin) . 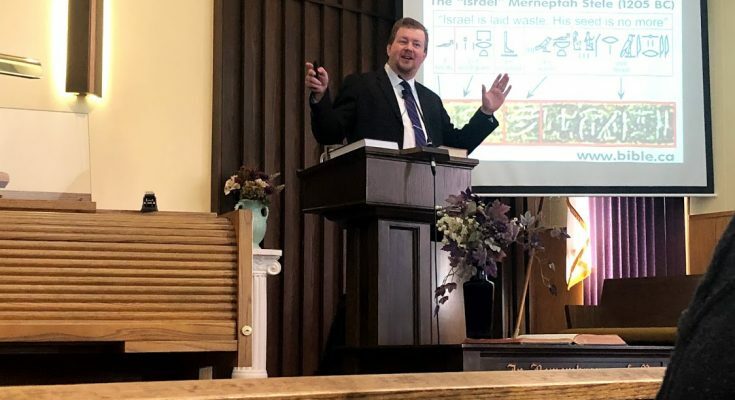 They shared that they would hear Jim Schneider reminding people to be in a Bible-believing, Bible-preaching church, and they realized they weren’t in a Bible-believing, Bible-preaching church. God led them to a church that preaches the Word and they are enthusiastic supporters of VCY – and successfully completed the 2018 Bible Reading Challenge! It was a great blessing to spend some time with them today! We also were able to share many program schedules, bumper stickers, and Invitation to Listen Cards for WEGZ 105.9 FM! We had a great turnout in Mason, WI – even with the cold! (This is not wind chill – this is surface air temperature! If your church would like to learn about the Prayer Encouragement Project email us today!